Jamshedpur today is a buzzing name in India when it comes to Football. 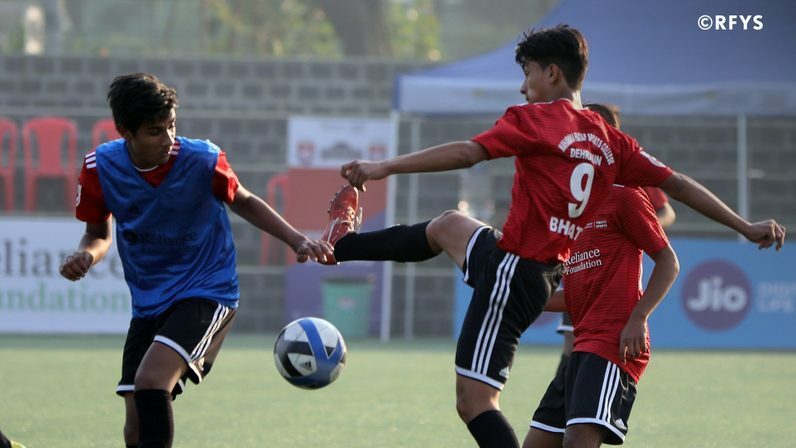 While the city is making news for their quality of Football in Indian Super League, the younger generation of the city is showing all the potential to be among the finest players of the country. This is the second year of RFYS Football in Jamshedpur and the number of participant institutes have risen considerably. On Monday, November 5, the City Championship Finals were hosted in the city across all the categories and all the four finals lived up to the expectations. The day started with College Boys of Abdul Bari Memorial College locking horns with Co-operative College. Co-operative College started off brilliantly with fine attacking football and took the lead at 26th minute. At HT, even though they were leading, Abdul Bari Memorial College were threatening their opponent’s defence regularly. They were expected to break the deadlock and they did when they equalized with just 3 minutes in the second half. Abdul Bari Memorial College were in the 65th minute but their joy was short-lived as Co-operative College came back into the game 4 minutes later. 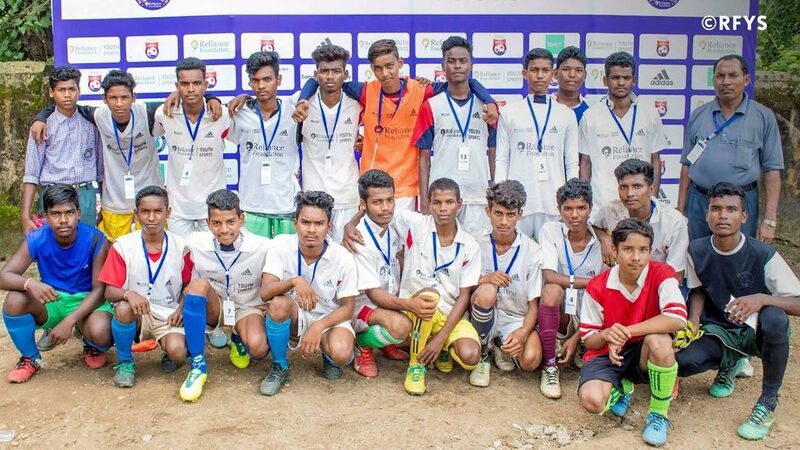 The match went into the penalties, but Abdul Bari Memorial College were slightly better at holding their nerves as Shiva Gorai saved a crucial spot kick, while they converted all their penalties to win the City Championship by 5-4 on penalties. The next one to make their mark were School Girls of St. Robert High School and Shyama Prasad Inter College. Within 17 minutes of the first half, St. Robert High School were leading 3-0 and the way they stormed into the first few minutes of the game took Shyama Prasad Inter College completely by surprise. The latter did create a few chances in the second half but were unable to open their scoring account. Instead, St. Robert High School added one more to their tally. They cruised to their deserved victory and lifted the trophy by winning 4-0. However, Senior Boys of Shyama Prasad Inter College had different plans as they took on Jusco School. Right from the word go, the boys from Shyama Prasad Inter College showed their class and by the time it was HT, Shyama Prasad Inter College were leading 7-0 with two of their players scoring a hat-trick. There was no scope for a comeback for Jusco School and in the second half too, Shyama Prasad Inter College extended their lead by 3 more goals and went on to win the game and the championship by 10-0 with three of their players scoring a hattrick apiece. The last match of the day was between the Junior Boys of Manav Vikas High School and Pro Vani Vidya Mandir. The FT score of 0-3 might not tell the complete story as the game was not at all a walk in the park for Pro Vani Vidya Mandir. Manav Vikas High School were attacking high up the pitch and they forced their opponent to defend and it was an evenly poised encounter until the 28th minute when Pro Vani Vidya Mandir scored a fantastic counter-attacking goal to break the deadlock. The rain added more to the drama and raised the excitement of this game to another level. 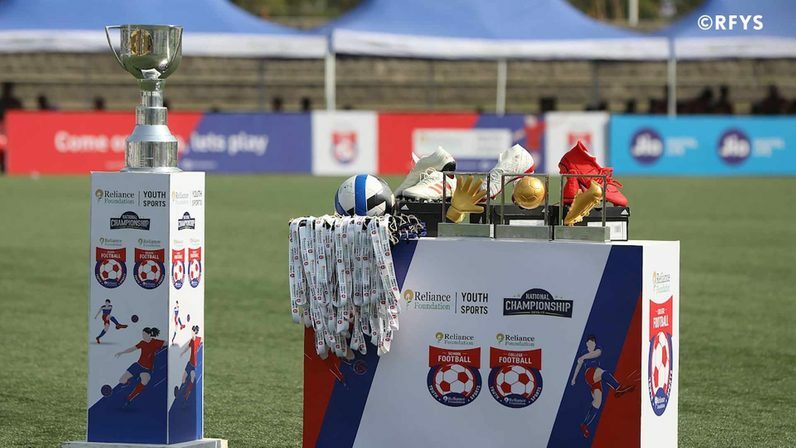 The first half goal infused confidence in the girls from Pro Vani who added two more goals in the second half and became the first ever School Girls champions from Jamshedpur. The entire tournament in Jamshedpur helped discover immense budding talent and the quality with which some players controlled the proceedings was a treat to watch. There’s still a long way to go for these winners but there’s no doubt that this talented bunch will leave no stone unturned in making the most of this opportunity.